Mon: 15mi; Treadmill; (Really friggin' cold outside.) I rarely run on the treadmill. I don't hate it...but it's definitely not "running" in the way I think about. It can be quality training, despite the fact the treadmill automatically turns off after 1hr. How can you get a solid run in one hour? Treadmill engineers are NOT athletes. I was running next to this older lady...and when my 1hr was up, she looked at my treadmill and I turned it back on to run another hour. Like the treadmill police, she started looking around for staff or another runner to rat on me. I was so uncomfortable...I didnt want another confrontation with gym staff like I did one other time in a 24hr fitness because I was "training" and a coach was walking alongside while I was swimming. I got off the treadmill and walked to another open machine, far away from the treadmill police. Having said that, I find some enjoyment in cranking up the treadmill to crazy speeds and running really fast miles...in that way, I think it is great training. I might even use that to help build some efficiency and turn-over in the next couple months. Tue: Holy crap, still so very cold...I took a rest day trying to use the conditions to my advantage. 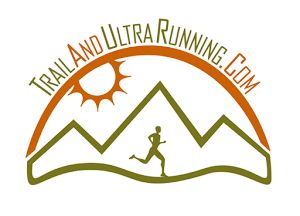 Thursday: 13 mi; 4,700' vertical; S. Boulder/Bear Peak Summit & Mesa Trail; I started this session with Jeremy but his IT band crapped out and he turned back early. It was pretty chilly...had to keep working to stay warm. I headed up to S. Boulder via Shadow Canyon. The sun broke through the clouds during the climb. Wore microspikes and needed them...at the summit of S. Boulder, I took a picture.....it was a glorious day to summit. Headed across saddle to Bear and then back down the west side ridge. The snow was much deeper in this area and I had to really dig in...slowed me down significantly. I was trying hard to convince myself I was running and not preparing to be on, "I Shouldn't Be Alive."